These Chicken Drumsticks Recipe are a classic. Simple to make and budget friendly. I use a few seasonings and marinate overnight. They come out perfect each time. We love serving chicken drumsticks. I always find them on sale and they have the best flavor. I remember growing up when my mom made chicken we would always fight over who got the last drumstick. 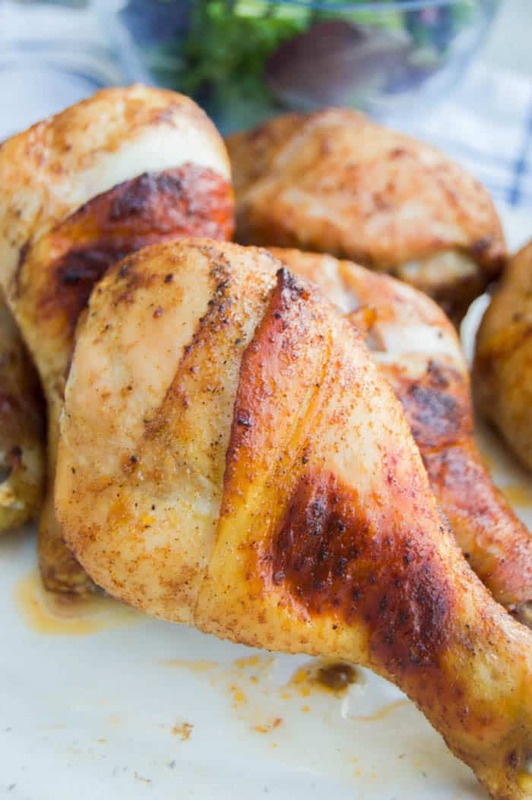 This Chicken Drumsticks Recipe is the classic and the one I usually make. It’s simple to make but taste amazing. 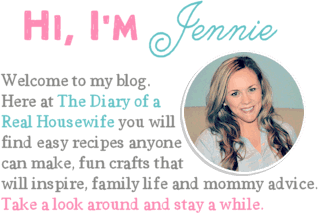 Here are a few more of my favorite chicken drumstick/leg recipes for you to try after this one. Step one: Start by placing your chicken drumsticks into a large freezer bag. Step two: Next you will want to place your oil and Worcestershire sauce in a mixing bowl. Whisk in all remaining ingredients then pour this over your chicken. Step three: Marinate overnight for best results or cook immediately. You don’t have to marinate them over night but I think the flavor gets through the chicken best when you do. If you want them right now then go ahead and skip to the next step. Step four: Once marinated go ahead and preheat your oven. Prepare a dish with aluminum foil. I find the foil helps keep the chicken crispy and it makes clean up really easy. Pour chicken into the dish and bake. I cooked mine for 30-40 minutes. Time will vary deepening on the size of your chicken. My chicken was very think and needed the extra time. 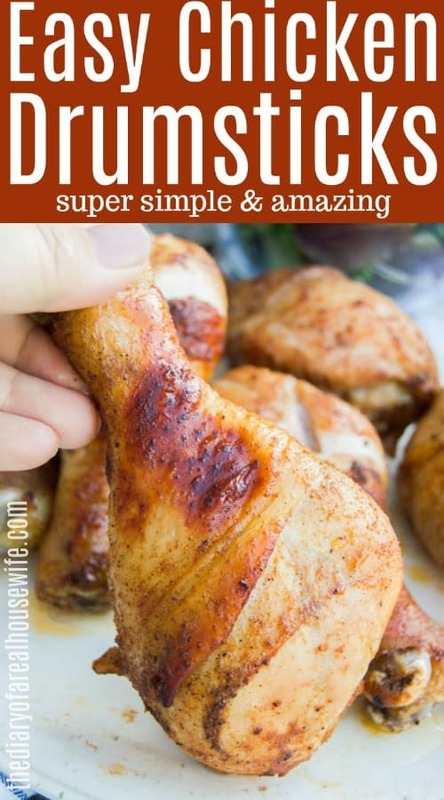 If you are cooking smaller chicken drumsticks then you will want to check on them around 20 minutes. Use a kitchen thermometer to make sure they are at a safe temperature before serving. 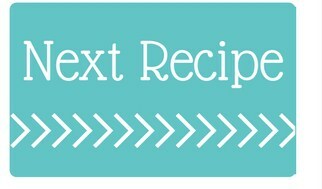 I don’t wanna leave you hanging so I had to toss in a few of my favorite chicken breast recipes! Eating chicken every night does’t have to be a bad thing with so many recipes! Crispy Buffalo Chicken Breast: This one is so good! If you love spice you are going to want to try it out. Cheesy Ranch Chicken Breast: This recipe is coated and shredded cheese and one that my kids LOVE! Baked BBQ Chicken Breast: BBQ chicken is a staple in our home! 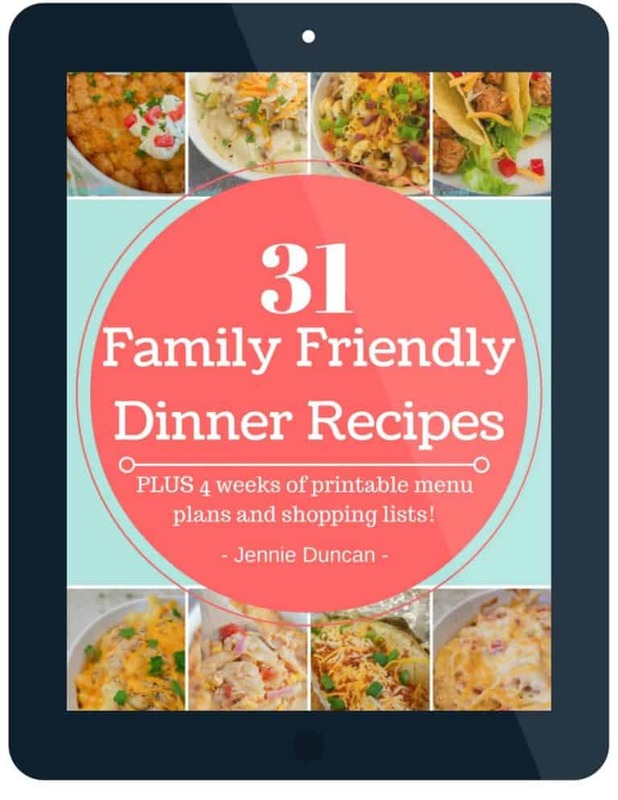 It’s a family favorite and one that I make several time a month. Add chicken drumsticks into a large freezer bag. Place oil and Worcestershire sauce in a mixing bowl. Whisk in all remaining ingredients. Pour this over your chicken. Marinate overnight for best results or cook immediately. Preheat oven to 425 degrees. Prepare a dish with aluminum foil. Pour chicken into the dish and bake for 30-40 minutes or until fully cooked. Time will vary deepening on the size of your chicken. 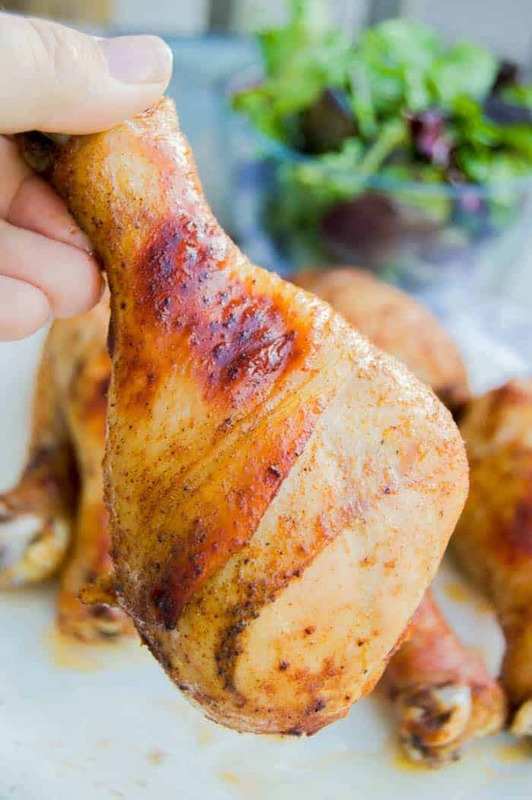 Check on smaller chicken drumsticks around 20 minutes.